Every once in a blue moon, the urge to DIY (or is it DIM?) strikes me. While I'm stil a long ways from whipping up my own kitchen conditioner, I do know my way around bentonite clay, thanks to my dalliances with the Max Hydration Method. I've since quit the MHM, but I kept the clay around for a number of reasons. One, I like using it for facial masks. Two, I like using it for hair masks. It looks like I'll be retiring the mask soon though, because I found another, much easier way to use clay: mud rinsing my natural hair. Mud or clay washing for natural hair is nothing new. Many naturalistas have espoused the benefits of using clays to treat and cleanse natural hair, often recommending it as a clarifying alternative to shampoo. Unfortunately, one of my favorite science bloggers Jc of The Natural Haven has shown us with her microscope fancy-ness that clay doesn't actually cleanse the hair as well as shampoo -- it functions more as a co-wash. So all of the above listed benefits ring true, but the clarifying part doesn't. No biggie, because where there's a will, there's a way! What is mud rinsing? Mud rinsing simply put, is an intermediate step between your cleansing and deep conditioning, where a water-based clay mixture is allowed to sit on the hair briefly prior to deep conditioning. It is most easily done in the shower, but can be done over the sink as well. 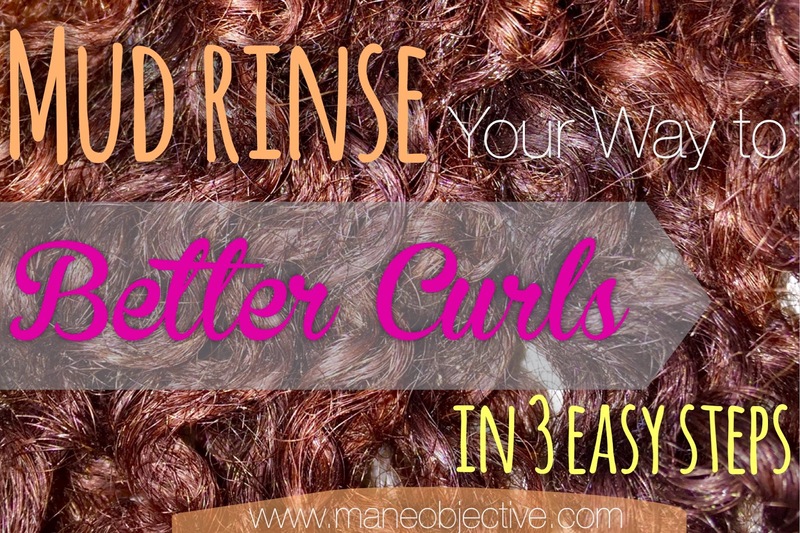 Mud rinsing is singlehandedly responsible for giving me greatly improved curl definition, curl clumping, and significantly reduced frizz. Mud rinsing has also given my hair some serious shine, and I have yet to find a down side. I've incorporated mud rinsing into my last 5 or so wash days, and I must admit that I'm sold! Mud rinsing has been easier to do and easier on my strands than clay masks have been. Clay masks are thick, messy, and can sometimes difficult to work through my hair. But mud rinsing? Simple and fuss-free. It's all natural. One of the best thing about DIY mixes in general is that you get to control what goes into them. A mixture of earthen clay, oils, water, aloe, and apple cider vinegar? Talk about a dream for mixtresses and ingredient snobs. It's moisturizing and fights frizz. Due to the water content and the oils, the mud rinse hydrates the hair while the oils soften, and the aloe and apple cider vinegar help lay the cuticles to improve shine and moisture retention while reducing frizz. It detoxifies the hair and scalp. Bentonite clay is incredibly powerful, possessing a negative charge (anionic). It has the ability to remove positively charged (cationic) conditioners and products that can build up on the hair and scalp. It is also said to have the ability to draw out toxins, heavy metals, and chemicals. It lifts impurities from the hair, aiding in conditioning, shine, softness, and definition. It enhances curl definition. No one is quite sure why, but it does. I want to throw in some sciency jargon about ions and whatnot, but for the life of me it doesn't make sense. I just know that it works -- and not just on my hair either. 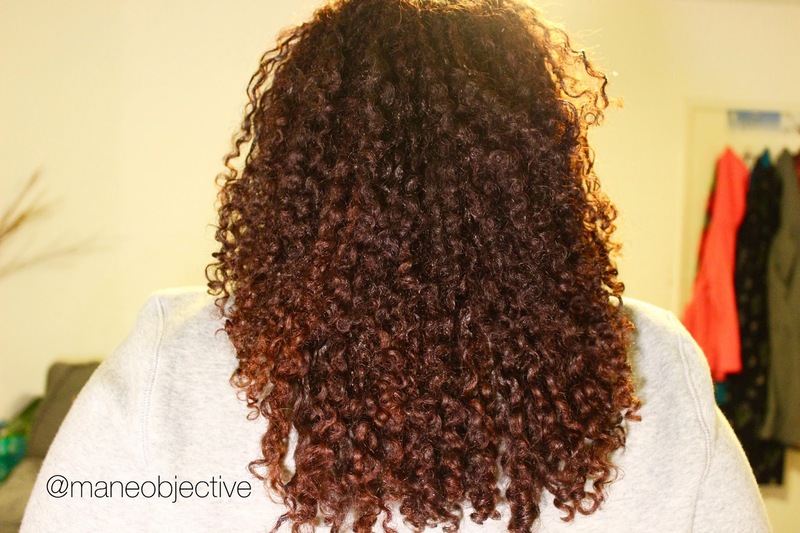 Click here to see how bentonite clay fares on 4c natural hair. Since science can't explain it away for me, I'll just chalk it up to one of the good Lord's miracles and send a fist bump back to the ancestors because this stuff has been around for thousands of years. It works instantly. Back when I was doing clay masks post MHM, I was under the impression that it needed 20-30 minutes on the hair, like a deep conditioner. Nope! You can literally work the mud rinse into your hair, and rinse it right out. Mix the mud blend until it becomes a thick, aerated paste. 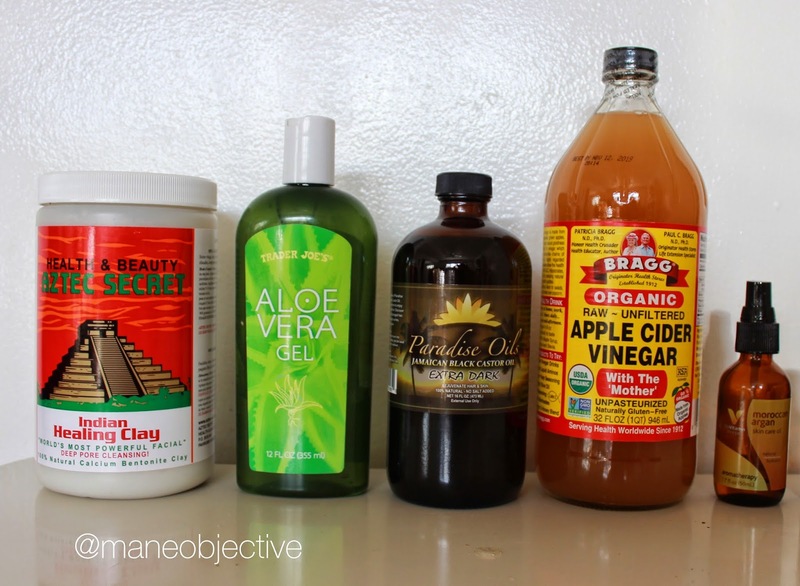 If you want to add more oil, aloe, or ACV based on personal preference, now is the time to do so. If your mix is thick, that's quite okay. We're going to dilute it in a second. 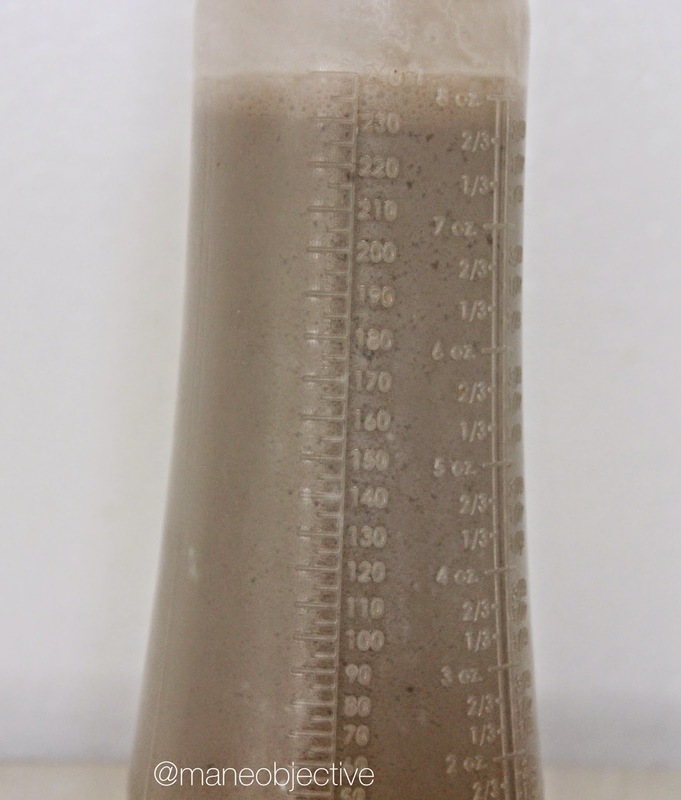 Your mud rinse will look something like this prior to being diluted. Spoon or funnel the paste into your applicator bottle. You should have between 3 and 4 oz of mud. Fill your applicator bottle the rest of the way with water, roughly 4 - 5oz. Screw on the lid, cover the nozzle tip with your finger, and shake until the mixture is completely liquidy and runny. The consistency of the mud rinse should be very watery, like, barely thicker than water. BE CAREFUL REMOVING YOUR FINGER FROM THE NOZZLE TIP. Because of the ACV, the clay will have a slight effervescence, similar to a soda that's been gently shaken. It's best to release your finger over a sink, or somewhere that can be wiped easily. Just add water, and boom! Mud rinse! Now you're officially ready to get your mud rinse on. Go about your normal cleansing regimen. If you cowash, do that. If you shampoo, do that. This three step process works best if your cleanser can do double duty -- meaning it has enough power to cleanse, and enough slip to detangle. My current pick for this is Trader Joe's Tea Tree Tingle Conditioner. 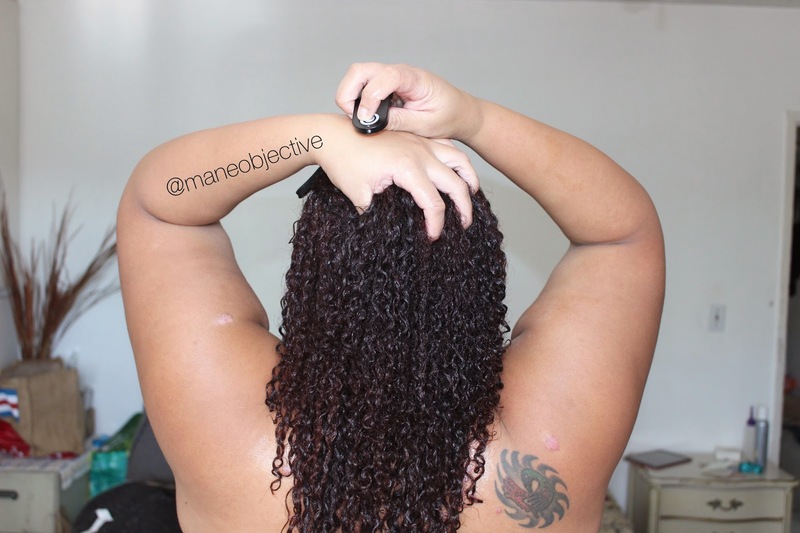 I wash my hair in 4-6 sections, detangling each section as I cleanse. Now that all of your hair is detangled and coated in cleanser, it's time to rinse and mud rinse. Section by section, rinse the cleanser or cowash from your hair. Grab your mud rinse bottle and shake it up if the contents have begun separating (it's a DIY mix with no fancy emulsifiers). Take the nozzle and squeeze the mud rinse directly onto your scalp, all over your head. This will ensure that the rinse hits the roots first, which for many of us is the most frizz-prone area. Then, section by section, squeeze the rinse onto your hair all the way down the shaft to the ends. Twist each section after you complete it, to keep the rinse from dripping profusely from the hair. After you've completely covered your hair in mud rinse, you can either leave it as you complete your shower rituals, or rinse it right out. It works perfectly either way. After you've rinsed out the mud, you may notice that your hair is gorgeously clumped and shiny, but feels a little weird -- almost tacky. Fear not, it is a common occurrence among clay users. 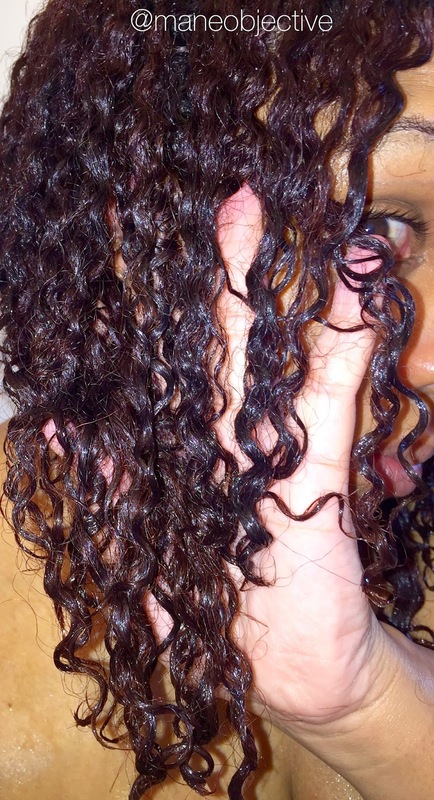 There are a few different ways to get the feeling to go away without losing your curl clumping goodness. One, you can apply your deep conditioner and let it sit while you continue your shower (using the steam to help it penetrate). Two, you could re-apply some of your regular conditioner to well, regular condition your hair and rinse immediately. Three, you could skip the heavier conditioners altogether and go right in to applying your leave-in conditioner out of the shower. I personally opt between one and two, because I like, never skip the opportunity to condition (especially deep) my hair. My conditioner-only curls never look this good. Never. Will you be giving mud rinsing a try? Yes! I'm already doing the MHM but the clay step takes so long. 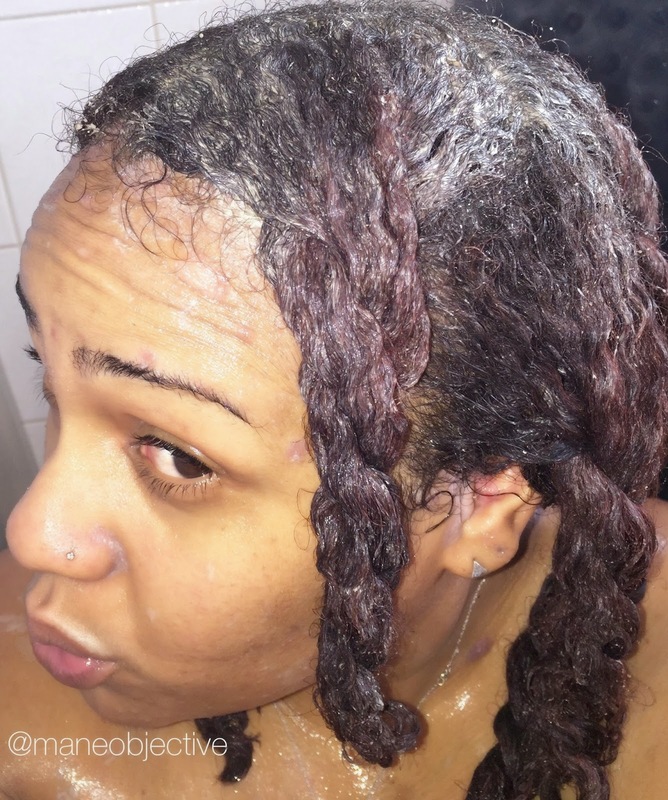 I like MHM and I can continue using the method but with the mud rinse process that you are doing. i loved my MHM results but found the bentonite clay sooo drying, and oddly enough it made my scalp flaky. i had dandruff flakes for days so I had to give up the clumping power. i want to switch to rhassoul but its all sold out at my favorite mountain rose herb unless i want to buy a 5lb bag. maybe the mud wash will be better. PS: are you afraid at all of using it with hair color? This turned out beautifully for you and your hair. I know when using Terresentials mud wash, I did have a lot of curl definition. I love using mud rinses! Although shampooing may cleanse better than co-washing or mud rinsing, my hair/curls look and feel way better, so I choose use shampoo on very rare occasions. love using mud rinses! Although shampooing may cleanse better than co-washing or mud rinsing, my hair/curls look and feel way better, so I choose use shampoo on very rare occasions. I love mud! I currently use a premade mud cleanser/rinse that combines bentonite plus some of my favorite Ayurvedic powders. My hair adores it and every time I use it it makes me want to BC from seeing all my curls, kinks, and coils react to it. That sounds yummy!!!! What powders do you usee? Same here. I've downgraded to shampooing about once a month! Thank you! I have got to try them and Naturalicious out. Oh NOOOOOOOOOOOO!!!!!! Lmao how much is a 5lb bag? I've never tried Rhassoul, but I've heard it's more gentle. Let me know how the swap goes for you!!!! The clay was my favorite part of the MHM! The mud cleanser I use has amla and shikakai in it. Some of my favorite powders in general are amla, brahmi, bhringraj, neem, and shikakai. Oh boo! I'm gonna have to look into amla and neem. Thank you! I will be giving mud a try! I just received a Rhassoul Clay Wash from KJ Naturals (online). I would as like to try Terresentials and Naturalicious out. Maybe one day I'll be brave and make my own mud wash! FYI - Naturalicious in on sale today for $12. Hi there! Are those spoonfulls tablespoon or teaspoon size? Darn!!! I'm mad I'm just now seeing this!!! Thanks! I'm in love with the mud rinse. You are all kinds of awesome. oh my i'm going to try this thank you!! I just did this mud rinse, so much easier than the clay mask (got the recipe from you on Naturallycurly.com). I used Rhassoul Clay instead, learned the hard way that bentonite clay and my hair do not play well together. I used oils that I have "lying around" that did not work well alone (on my hair or skin) or I could not find the right ratio to make them work so I just threw them in the mud rinse…tee hee. The only thing is I do not think I added enough water or I added too much clay…I had some left so I'll just water down for my next use. Thank you for this! I love KJ Naturals. The Marshmallow Detangler Leave-In has been working wonders! Don't be scared lol. Give the mud rinse a try, Christina gave great instructions that made it super easy. I had a bad experience with bentonite clay and coconut oil…never again. So I use Rhassoul Clay and Avocado Oil in their place. I purchase my clays at butters-n-bars.com. Not sure how their prices stack up against your favorite store or Amazon but it may be worth a try…Good Luck! I am trying this for my next wash day. I have been using clay to wash my hair once a month but appreciated the science research you did. I will be altering my regimen from now on. Thanks! 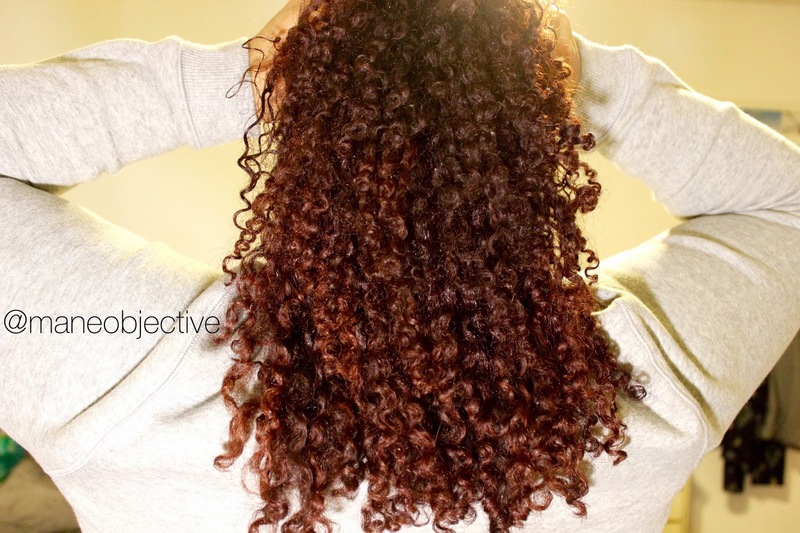 Can you this every wash day (i.e. every week)? Will it have any long term effect on the hair if done so often? Curling is famous in tee age girls and through this headline for resume we can learn many tips for curling. I tried this and it was amazing for my hair. I'm so glad I found your article.